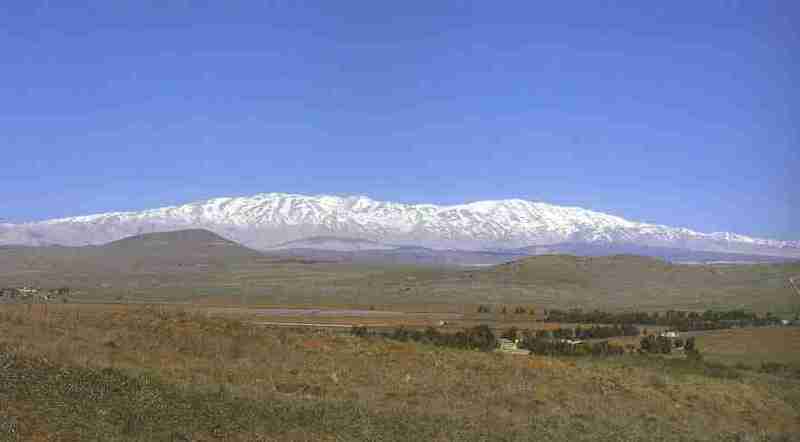 Mount Hermon – The highest point in Israel, a ski resort in winter and a hiker's paradise the other three seasons. Drive across the flat land and, in the distance, Mount Herman rises up unexpectedly. The chair lifts run all year long but even in summer you'll need a sweater in the evenings - a rarity in Israel. 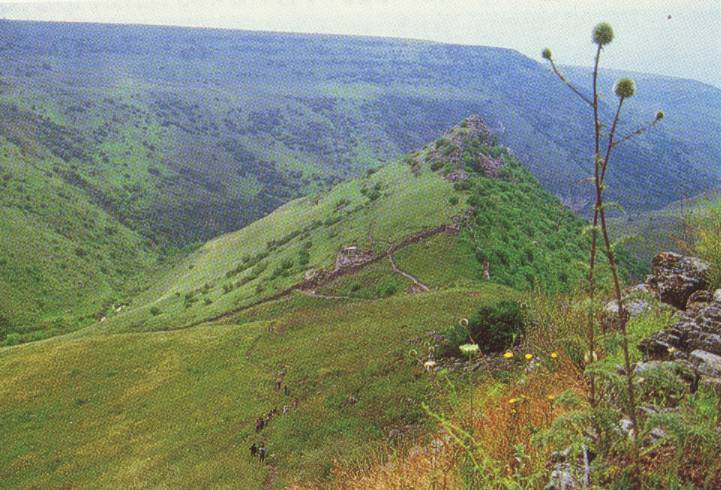 The mountain offers beautiful views of Lebanon, Galilee, and the Golan. Historical site in eastern Lower Galilee. Six kilometers west of the Beit She’an-Gesher highway, perched on a promontory overlooking the Jordan Valley, is a Crusader fortress built in the 12th century by the knights of the Order of the Hospitallers. They called it Belvoir for its beautiful view. In Hebrew it is called Kochav Hayarden, "Star of Jordan," since it was built with stones taken from the neighboring ancient Jewish settlement, Kochav. The fortress was conquered after a lengthy siege following the defeat of the Crusaders in the battle of the Horns of Hittin (1187). Restored and landscaped, it commands a breathtaking view of the Jordan Valley and the Gilad Mountains. There are sanitary facilities and a snack bar at the site. Tel. 06-6581766. Historical site in Beit She’an Valley. Beit She ‘an, spread over 325 acres, is one of the most important ancient sites in the country. It contains the remains of twenty layers of civilization, including some from as early as the 4th millennium B.C.E., ruins of a Hellenistic city, and ruins of a luxurious Roman-Byzantine city (Scythopolis), whose streets, public buildings, and temples have been unearthed. An impressive, partially restored 6,000-seat Roman Theater and a large amphitheater may also be seen at the site. A footpath leads visitors through the city, which is still undergoing excavation, preservation, and restoration. Tel. 06-6581501, 6587189. Recreation site in the Beit She‘an Valley at the foot of Mount Gilboa. Set between Kibbutz Nir David and Kibbutz Beit Alpha, this is a magnificently landscaped park - shade trees, grassy lawns, and a natural-water swimming pool divided by gentle falls and nourished by warm spring waters that keep it a steady 28c even in winter. Also at the site are an indoor he ated pool, an archaeological museum of the Mediterranean, a restaurant, a snack bar, and dressing rooms. Tel. 06-6586219. Historical site on the Mediterranean coast. Located on the shore between Hadera and Atlit, this port city was built by Herod the Great on the ruins of an ancient anchorage known as Strato’s Tower. He named it Caesarea in honor of his Roman patron, Augustus Caesar. When the city was the capital of the country during Roman rule the Jews of Caesarea raised the standard of revolt in 66 CE, setting off the Jewish War. After the fall of Jerusalem, the city was the site of the Roman victory celebration. It was here that the Romans executed Rabbi Akiva and his disciples, after the Bar Kochva Revolt was quelled. Caesarea became an important Christian center that was alternately conquered by Muslims and Crusaders until it was destroyed at the end of the 13th century. Among the magnificent archaeological finds at the site are restored Crusader fortifications, a Byzantine street, and a Roman theater. There are restaurants, galleries and a bathing beach at the site. Tel. 06-6361358, 06-6361010. Recreation and historical site near Petah Tikva. This park, located alongside the sources of the Yarkon River, incorporates the ancient city of Afek-Antipatris. Excavations at the site have uncovered remains of the settlement and fortifications dating from the Bronze Age to the relatively recent Ottoman period. The site has a landscaped garden with lawns, trees and sports facilities. Recreation area and historical site on the Mediterranean Coast. Ashkelon is one of the oldest cities in the world. In the 12th century B.C.E., it was conquered by the Philistines and became one of their five major cities. Since that time, the city has changed hands many times. Herod the Great, who was probably born in Ashkelon, beautified it, Muslims and Crusaders fought over it. The shoreside park, with its lush lawns, forms a splendid setting for the ancient fortifications, buildings, statues, columns, and inscriptions which are on view to the Public. Historical site in the northeastern Negev, near Arad. This ancient mound contains the ruins of a 5,000-year-old Canaanite city that was uncovered and reconstructed -complete with walls, towers, gates, streets, temples, water systems and houses. In the northeastern corner of the mound, a 10th-century B.C.E. Israelite fortress was uncovered. Historical site in the western Negev Mountains. Located at the side of the road leading to Nitzana, this partially reconstructed ancient Negev city was established by the Nabateans and flourished well into the Byzantine period. It was abandoned in approximately 900 C.E., some 200 years after the Muslim conquest. The remains from the Roman and Byzantine periods - houses and churches, tiled streets, and water and drainage systems - are well preserved. Adjacent to the site is a reconstructed ancient agricultural farm. · Oct. to Mar.8am-4pm on Fridays and the eves of holidays, sites close one hour earlier. On the eves of Rosh-Hashana, Passover, and Yom Kippur, sites close two hours earlier. On Yom Kippur all sites are closed. Explanatory brochures are provided and booklets may be purchased at the sites. Approximately one km. north of Yesod Hamaale. The reserve serves as a rare meeting place for African flora and fauna as it is the northernmost border between them and European flora and fauna. Water buffaloes wallow in the pools, but the birds are the jewels in the crown of the reserves animal life. Entrance fee. Open 8 am - 4 pm. Fri. & holiday eves 8 am - 3 pm. Entrance to the reserve is permitted up to one hour before closing. Tel:06-6937067.